Today for a closer cooperation tomorrow. to a ceremony. The result of the long-term and eventful past was an alliance with a framework contract which provides a solid basis for the companies’ relationship in the future. 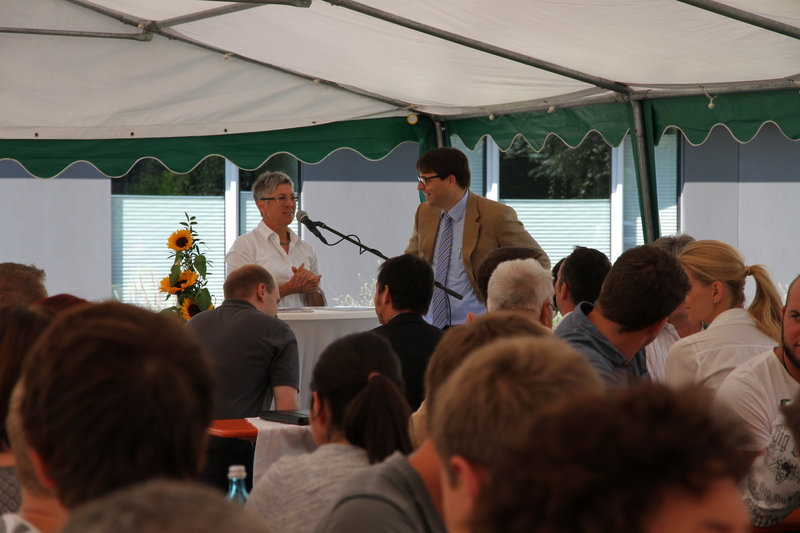 It has been more than 35 years since the first order, Hannelore Spangler says to the employees as well as to Mr. Dr.-Ing. Oliver Rong, Management Board of Huber SE, and Mr. Alexander Weber, Purchasing Manager at Huber, in a short speech. Since then both companies have developed themselves to an internationally operating company. The working relationship between both companies is still very successful. 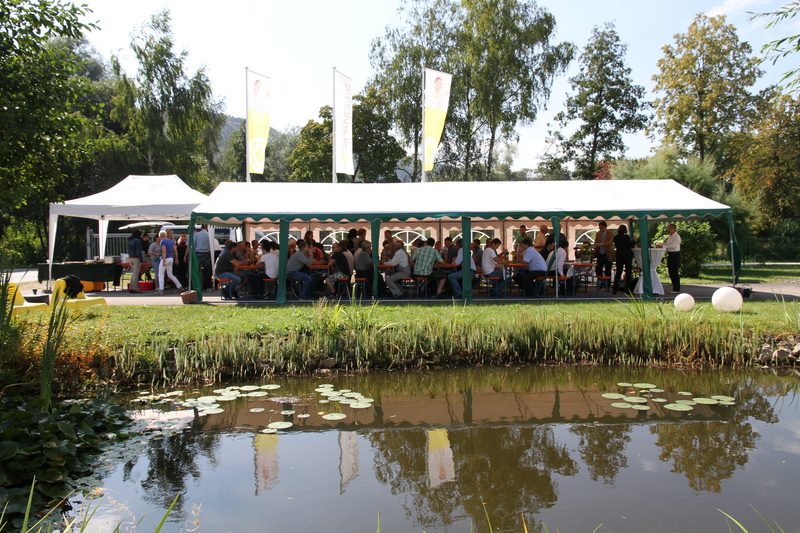 An active mutual exchange does exist which becomes more and more intense and profound through constantly new further developments such as the ongoing digitalization and thereby supports as an accelerator the company Huber as market leader in the field of water treatment, wastewater treatment and sludge treatment. From this long-term and successful relationship a framework contract was concluded for the first time which will reinforce the future and lead the long-term cooperation of both companies into an even more productive direction. In future, the framework contract will come into force for all projects and does include clear guidelines about issues such as delivery times, documentations, payment and delivery terms, delay in delivery, packaging, quality assurance and many other points. Dr. Oliver Rong also praised the long-term common past as well as the positive future. He added that this contract put the existing shared understanding into writing. “The framework contract is a milestone in our company’s history which we cannot and must not rest on. On the contrary, we also have to make great efforts in the future so that the company HUBER is satisfied with us and orders our products,” Hannelore Spangler concludes. 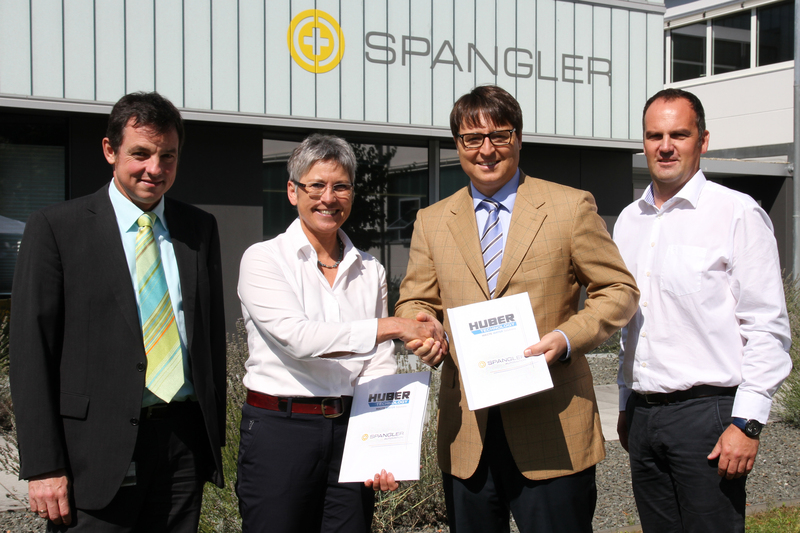 SPANGLER GMBH employs around 130 people at its headquarters in Töging in the Altmühl valley and has been a reliable partner of the national and international mechanical and plant engineering for 35 years. More than half of the plants produced are exported worldwide. SPANGLER Automation engineers and plans the plant automation, programs the control technology and manufactures the switch and control systems for various sectors such as environmental technology, agricultural economy, building industry, food industry, automobile industry, raw materials industry and pharmaceutical industry. Moreover, SPANGLER carries out the start up as well as the after-sales service of the switch and control systems.